Tata has unveiled the updated version of its flagship crossover, Aria. 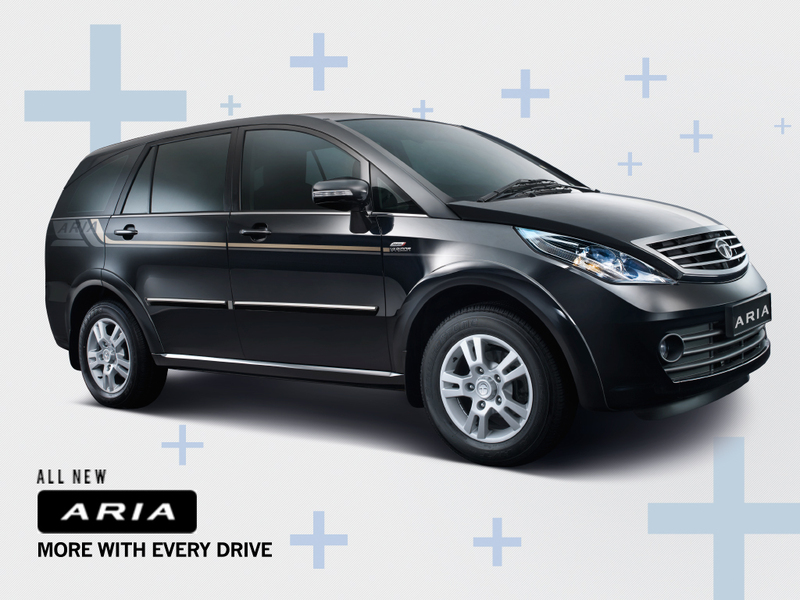 Though the Aria is one of the most ambitious and luxurious products from the Indian manufacturer, Tata barely managed to make it successful. Yesterday however, Tata launched an updated version of the Aria with changes to the headlamps, tail-lamps and new decals on the side. 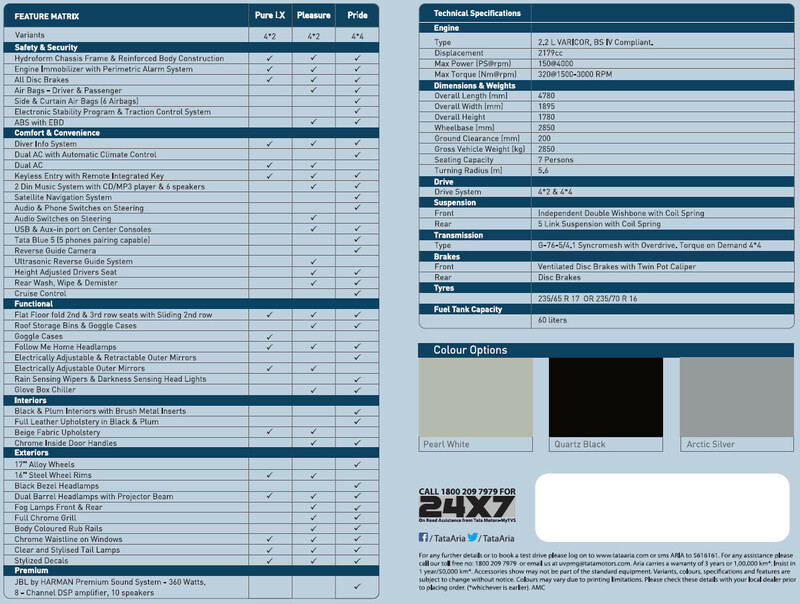 The new Aria is now available in three variants-Pure LX 4×2, Pleasure 4×2 and Pride 4×4. The Aria is now powered by the most refined DICOR (now called VARICOR) 2.2 litre diesel motor churning 150 Bhp of raw power at 4,000 rpm, 10 Bhp more powerful than the older version and torque of 320 Nm. 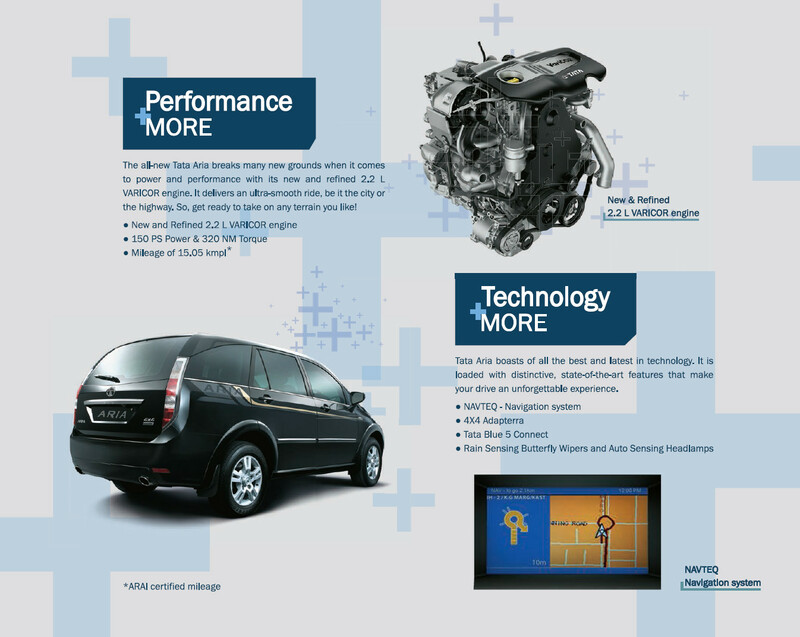 It has now gained an ARAI certified fuel economy figure of 15.5 km/l. Visual updates include dual projector lamps, black bezel headlamp units (only for Pride variant) , clear lens side indicators as well as tail lamps and sporty body decals. The Aria is packed with features like ABS, EBD, Traction control, ESP (Electronic Stability program), Six airbags, climate control, electrically folding ORVM’s, cruise control, reverse camera, reverse parking sensors, NAVTEQ navigation system, rear wash wiper, rear defogger, steering mount control. The most exciting thing about this facelift is the latest Harman-Kardon audio system, for the uninitiated Harman-Kardon is a sub division of USA based Harman International Industries and manufacturing, who are pioneers in home and car audio equipments of which JBL is well known here. Though this facelift does not offer the much anticipated automatic transmission, Tata has tried their level best to give the most suitable package they could. The Aria is so far the best product from Tata with revised pricing and offered features and it is capable of fighting head to head with Mahindra’s cheetah XUV 500 and Toyota Innova. With Innova’s climbing price tags, waiting periods and limited features, Aria is real value for money in this segment. Aria offers on the fly 4×4, where you can convert the family MPV to an AWD Fun soft roader. Enthusiasts who feel XUV is more Chinese looking and do not find Innova attractive any more have got a better option. 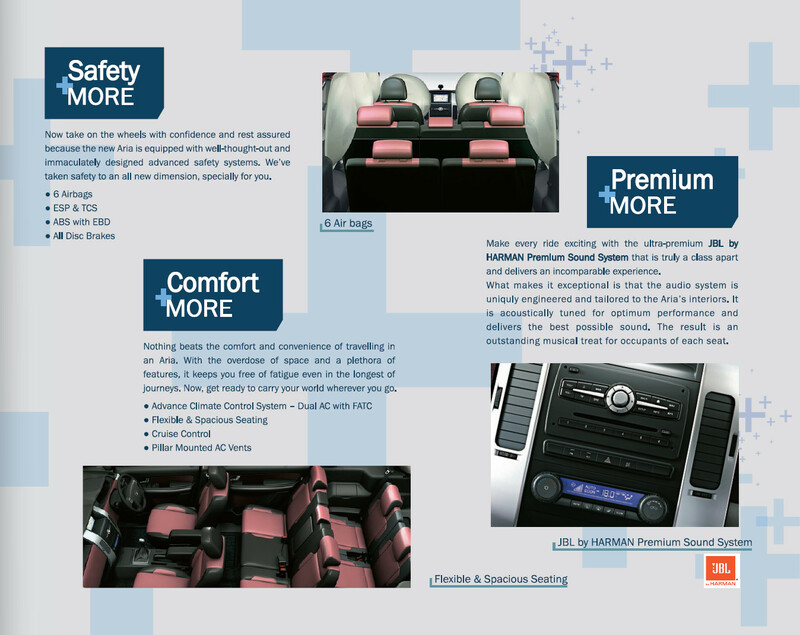 Aria also offers the best in class boot space and third row leg room. Now it’s only the buyers who will decide the faith of Aria in Indian market. Keep watching this space for more.